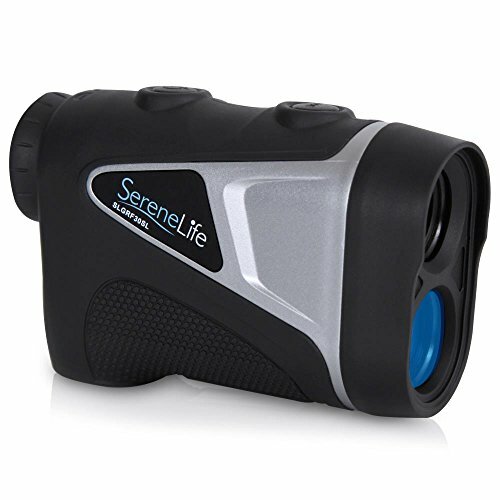 SereneLife’s rangefinder is the next big thing in distance measurement. It has precise, accurate and reliable measuring range between 5.4 - 540 Yards. The laser monocular has adjustable manual focus eyepiece lens too and can magnify 6X. It has 2 selectable modes. First is the Pin-Seeking and second is the distance measuring. It also has a smart digital interface display readout for better readings. 540 YARDS RANGE: A range finder that has precise, accurate and reliable measuring range between 5.4 - 540 Yards. Unit of measurement can also be adjusted changed between meter or yards.